XAT 2019 result and score card was released on 17 January 2019. Candidates can visit the official XAT website and download their XAT scorecard. The candidates who have been shortlisted for the XLRI’s second round of admission has also been revealed and the schedule for the very same would be announced very soon. Xavier Aptitude Test or XAT 2019 is an Entrance Exam that XLRI (Xavier Labour Relation Institute) organizes on the behalf of XAMI (Xavier Association of Management Institutes) conducts every year to select candidates for admission in management Institutes that accept the XAT score. Some of the top-notch Management Institutes of India apart from XLRI accepts the Xavier Aptitude Test Score. 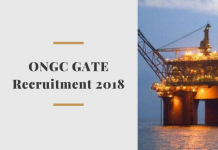 The last date to fill the application form was 09 December 2018. Test City preference can be edited only once from 14 – 30 November 2018. The exam was held on 06 January 2019 in a changed pattern as a Computer Based Test. The Admissions Office XLRI, C H Area (East), Jamshedpur – 831 001 has published the following information. Latest Update: Details about upcoming JEE Main Second exam by NTA here. How To Register For XAT 2019 & XLRI? XAT 2019 Score card hes been available from 17 January 2019. Can download till 31 March 2019. XAT Admission Notification was released on 20 August 2018. Registration started from 20 August 2018 onward. The Exam was held on 6th January 2019 across the country in 47 centres and two centres in Dubai and Kathmandu. The Score Card can be downloaded now from their official website. The last date of registration for GMAT candidates was 31 December 2018. It is the second largest Entrance Test and requires dedication and hard work to perform well in the exam. More than 150 management institutions (MBA PGDM) are currently accepting XAT score to select the candidates most suitable to study management related courses. The Xavier Aptitude Test is conducted at more than 35 centres in India and at two centres outside India (Dubai and Kathmandu). XAT 2019 exam date was 06 January 2019. XAT is conducted only once a year. Those who missed to fill in application form this year may try their luck in next year XAT 2020. All the candidates interested in the Xavier Aptitude Test should note these important dates. Candidates should note that XAT 2019 Registrations had started from 20 August 2018 and the last date of submission without late fee was 30 November 2018 and with late fee was 7 December 2018. XLRI released XAT admit card on 22 December 2018. Admit card were available on the official website of XAT from 22 December 2018 onward till 06 January 2019. Applicants must carry the admit card to the exam centre. No candidate will be allowed to write the exam without the admit card. 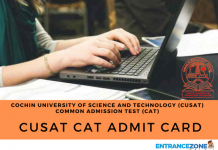 How To Download XAT 2019 Admit Card? Enter the XAT ID & Password at Login page. Download the admit card and take multiple copies of it. Do sign in the mentioned column of ‘Signature’. Your Name, Date of birth, should be same as you entered at the time of XAT application form submission. Name & Address of allotted exam centre, time & date of XAT 2019 examination. Documents required at exam centre like your photo id proof in original, affixing photo on XAT Admit card among others. Here is a step by step guide to fill up the XAT 2019 Application form. Candidates can follow the given steps to fill the Application form of XAT 2019. First of all, candidates need to register on the official XAT website which is https://xatonline.net.in by creating a unique XAT ID and password. Candidates need to fill up the form with the correct details, such as their original name, Nationality, parents name etc. Candidates will have to indicate their choice for the management institutions in which they would like to study. Candidates need to select the name of the course which they want to study upon selection such as Global Business Management, Human Resource Management etc. Candidates who do not want to study at XLRI may choose to skip this step. Aspirants will have to provide their mail address for correspondence and other such basic details that are necessary for the application form. Candidates will have to fill up all the details about their educational qualifications and will also have to furnish all the details about their matriculation degree to all the degrees till their graduation degree which is the minimum qualification to apply for this examination. Candidates must also fill in all the details of the work experience if they have any. Candidates interested in the Global Management Program must have at least 5 years of experience. Online Payment Gateway, i.e., payment through your Debit or Credit card. A point to note here is that American Express card transactions are not acceptable. Payment in cash which can be done by taking out a printout of the XAT pay slip. And the fee can then be paid at any IDBI Bank branch. Payment can also be paid through a Demand Draft. For this, candidates will have to make a Demand Draft in favour of ‘XLRI Jamshedpur A/C XAT’ that should be payable at Jamshedpur. An important instruction for the candidates who decide to pay either through Cash or Demand Draft is that they should not forget to update the information on the official XAT website once they have completed the payment procedure. In case a candidate fails to update this vital information, applications will be marked as incomplete and therefore, rejected. There is a slight difference in the fee that the candidates need to pay for the successful submission of their application forms. Also, the candidates who are interested only in the Xavier Aptitude Test will have to pay 1700/- INR. However, those candidates interested in the XLRI Management Courses will have to pay an additional application fee of 300/- INR. Candidates may apply for more than one programme. Admission to full-time HRM/BM programme is based only on XAT scores. NRI candidates however, may choose GMAT. GMP candidates may apply either through XAT or GMAT. The eligibility criteria enlisted by XAMI for taking the Xavier Aptitude Test are as follows. Applicant should make sure that they fulfil the eligibility criteria for the exam. To appear in the XAT exam a candidate must be a citizen of India or of NRI origin or from a Foreign country who has a Recognised Degree from Government of India. A candidate must at least have a Bachelor’s Degree from a Recognised University in India or an equivalent Degree from an Institution Abroad that is HRD Ministry, Government of India Recognised and accepted as a valid institution. Candidates who are in their final year of the Degree course and are expecting their results latest by June 2019 can also apply. Candidates who have a score not lower than 50% in their Bachelor’s Degree exam are also eligible to write the exam. However, such candidates will have to submit their aggregate marks by June 2019. The eligibility criteria for appearing in the XAT is uniformly applicable to all candidates belonging to different categories. There is no relaxation for the candidates on the basis of caste, religion or creed. It is compulsory for all Indian national candidates to take the XAT exam for admission in the Institutes that take admission on the basis of XAT scores. However, foreign Nationals and NRI candidates have the option of applying to these institutes on the basis of their GMAT scores. 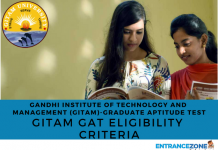 XAT offers the candidates to apply for multiple programmes at once, those who apply for multiple programmes may be called for multiple interviews and GD’s depending upon the nature of the programme. XAT online programme has many components and one has to perform really well in each section. XAT encourages students from diverse backgrounds to apply and for the process of shortlisting the candidates for the interview, weightage is given to the academic background and the relevant work experience. Besides the performance of the personal interview XAT performance, academic background, extracurricular activities are considered for the final selection. Candidates must register their working/current email and contact number while registering for XAT exam. As information will be passed through email and SMS only. Applicants are advised to add [email protected] and white-list the email id to get all the important emails in their inbox rather than spam folders. Also, keep watching the emails for all further updates from XAT. XAT Registration Fee: without late fee – Rs. 1700/- and with late fee – Rs. 2000/-. Mode of Examination is Online. XAT 2019 will take place according to the new pattern. The Xavier Aptitude Test will consist of two parts, namely Part 1 and Part 2. In part 1 candidate will have to answer any 65 questions, they can leave a maximum of 13 questions unanswered. If candidates exceed the maximum number of questions that are available for not answering then marks will be deducted i.e. 0.05 marks for every question that the candidate leaves unanswered. For every question that the candidates incorrectly answers, then it will result in the deduction of 0.25 of the total marks. Part 2 of the exam consists of questions based on General Knowledge and Essay. There is no negative marking scheme for this section. It is very important to perform well in this section as poor performance in this section will slim the chances of admission call from good institutes. Firstly, know the complete details about the Examination such as exam pattern & syllabus. Solve previous year’s question paper which is available on the official website of XAT. Take good books and study materials for preparing for the exam. Make a proper timetable and try to solve each and every question in a particular time period so that you can complete your exam on time. The Xavier Aptitude Test 2019 & XLRI – Xavier School of Management Registration Procedure is given below. Search for the official website of XAT and click on ‘New Registration’. Candidates should enter their credentials like Name, E-mail Id etc. After that system will generate a XAT provisional registration ID and a password which each candidate has to keep safe for future use. Form once filled and submitted online will not be liable for any change to fill in each detail very carefully and review it once again before pressing the submit button. Ensure your personal information like your Name, Father’s name or Spouse name etc is rightly spelled as per mentioned in your mark sheets or any other identity proof you hold. Candidature can be disqualified in case of any discrepancy. By clicking on ‘validate your details’ and ‘save & next’ button your application will be saved. Following further instructions upload the photo & signature as per the given specifications. Next step is to proceed further to fill other information as mentioned in the Application form. Before final submission, please ensure that the information you provided is correct. It is strongly recommended to preview and verify the full application once again. Press ‘Final Submit’ button after any alteration if required for example in the photograph or signature etc. For Payment click on ‘payment’ tab for further processing. (For online payment of application fees the candidate has to bear the bank charges or any other intimation charges). Next step is to select the mode of payment among three modes i-e online gateway, cash payment or through DD. Candidates can download the admit card from the official website www.xatonline.net.in from 22 December 2018 onward. Those candidates who are applying through GMAT can do the same by following the instructions on acad.xlri.ac.in /GMAT admission. Candidates will need to choose the city in which they would like to write the XAT 2019 exam. In the last step, candidates need to submit digital copies of their signature and a passport size photograph. Both the signature and the photograph should be less than 1 MB in size. Students can check the answer key in the second week of January 2019. Answer key of XAT 2019 will be available online in a PDF format. It will help candidates to estimate their total scoring marks. Candidates need to login through their XAT id and password. To download the XAT answer key 2019 candidates can follow the given below procedure. Click on the ‘Answer Key’ link. Enter your Login credentials like XAT ID and Password. After entering the details click on the ‘Login’ button. XAT 2019 results are available now on the official XAT website from 16 January 2019. Result will contain the individual and combined percentiles. The list of candidates shortlisted for XLRI’s second round of admission has also been announced. After the XAT 2019 results, Candidates will be called for the selection for the next round of admission process that is, Group Discussion and Personal Interview. 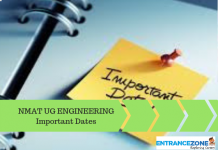 Furthermore, the colleges that may or may not shortlist the candidates for the next round are the same colleges that the candidates had indicated interest in, at the time of filling up the application form. Click on the link ‘XAT 2019 Result‘. Enter your XAT Registration number & password and click on ‘Login’. Download the result and keep the copies of the result for future use. XAT 2019 Scorecards are made available to download online from 16 January- 31 March 2019. Candidates can download their scorecards only after a few days of the result announcement by entering their Registration no. & Date of birth. For an idea, the score of 34 in XAT 2019 is enough to get a 95+ percentile. Basically, the score is the total marks that a candidate obtains. Whereas the percentile means the percentage of candidates scored marks. So, in last it is the percentile which will matter. Moreover, it depends on the difficulty level of the exam, number of test takers etc. Registration For Counselling: Before appearing for XAT counselling, candidates need to register themselves. It can be done through the Official website of the selected college. Candidates are required to pay Fee online and Fee can vary according to college and courses. Fee Payment: Candidate must pay the fee for the selected course. If failed to pay Counselling Fee Admission will be canceled. For candidates belonging to India, the Registration Fee is Rs.1700/- and Rs.300/- for each Additional course. Whereas, Fee for the Foreign and NRI candidates is $50 and $25 for every Additional course. Candidates need to pay the fee through Debit card/ Credit card/ Net banking or Demand Draft. DD made in favor of ‘XLRI Programmes’ payable at Jamshedpur. Selection of Course: After successful Fee payment, Candidates need to select one course and lock it. Seat Allotment: The final selection will be done on the basis of the course selected by the candidates and as well as on the basis of the merit list. Counselling letter (both original and Xerox). Admit card (both original and Xerox). Academic Certificates ( 10, 12 and Bachelor’s Degree). 4-5 Passport size photographs (colored and black & white). XAT Login can be used by candidates for many purposes. So, candidates can keep a track of upcoming events and access the students Dashboard. Candidates can create the XAT Login by following the steps given below. Fill the basic information and contact details etc. in the form. Keep the Login credentials for future use. FPM – Four-year Fellow Programme in Management. BM (Part-Time) – Three-year Programme for the working executives. Exec-FPM – Executive Fellow Programme in Management. EDHRM – Executive Diploma in Human Resource Management spread over 16 months. The XLRI announced their fees along with application form at the official website. In June 2019, an orientation programme will be conducted at XLRI. The main objective of the Programme is to introduce new students to the culture and work ethics of the college. It will guide students as to how to identify their profile and how to explore their area of self-development. Above all this orientation programme will make their stay successful at Xavier School of Management. The list of XAT Associate Institutes using XAT Score for shortlisting candidates for their admission. The list contains XAMI Members Institutes name and Institutes using XAT score. Download the XAT Participating Institutes 2019 Here. Download XAT 2018 Question Papers: Click Here. Download the XAT 2018 Information Brochure: Click Here. XAT Official Website: CLICK HERE. Finally, for more updates and information related to XAT 2019, stay tuned with EntranceZone. I am in my final year of graduation what percentage should i fill in the form? Are there any changes to overall pattern compared to last year?